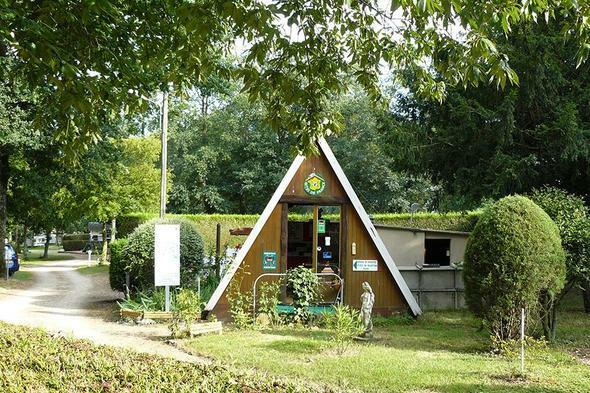 Camping Les Fouquets ist ein Camping in Saint-Jean-Froidmentel, Loir-et-Cher, am im Wald. Dieser Camping hat Plätze mit Parzellierung und plätze mit etwas Schatten. Der Camping verfügt über einen Spielplatz und ein Sportgelände. Für sportive Urlauber hat der Camping verschiedene Radrouten. Der Camping verfügt über ein Freibad . Auf dem Camping bekommen Sie auch frisches Brot. "Ruhig gelegener Campingplatz. Viele Rad- und Wanderangebote in der Umgebung. Unweit der RN10. Prima Etappenplatz." This campsite is heavenly. It has no noise , no state of the art facilities, no silly rules. It has got clean showers and loos . A beautifully clean small pool . The nicest , funniest lady. Plenty of water and electricity points but some of the more remote areas will require a longer extension. The surroundings are wholly natural. Mature trees and wild flowers and wheat fields. The camp-site is OK for an overnight stop. There was a lot of rubbish around the pitch. We could not move because there are very few electric points and these need the French type plug! Möchten Sie Camping Les Fouquets buchen oder nähere Infos? Das geht über die u.g. Angaben. Via N10, 3 km südlich von Cloyes. Von Cloyes aus rechts abbiegen und die N10 überqueren. CP ist ausgeschildert. ACSI Eurocampings schickt Ihre Info-Anfrage an "Camping Les Fouquets" durch.